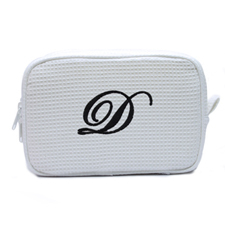 Measures 9"long X 6"high X 4"deep. 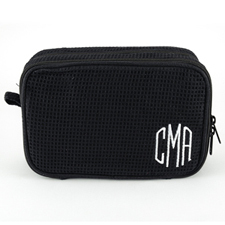 Made of 100% cotton waffle weave fabric. 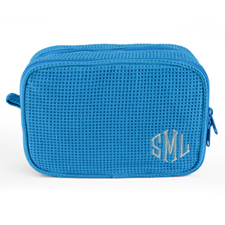 Protective water repellent nylon lining easy clean up of spills to keep everything dry and tidy. 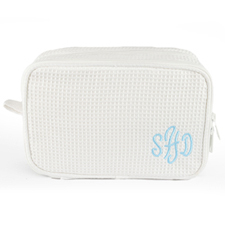 The zippered top keeps everything organized. 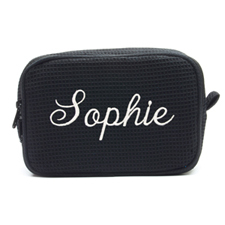 Embroidered personalization with one initial, three initials, name and message. 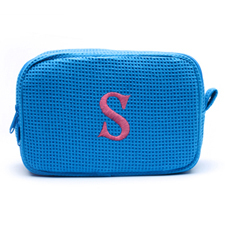 Colors: White, Fuchsia, Black, Turquoise. 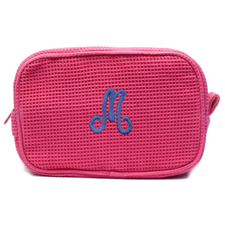 Cosmetic bag, toiletry bag or travel cosmetic bag great for travel and for everyday purse necessities keeping your makeup in. 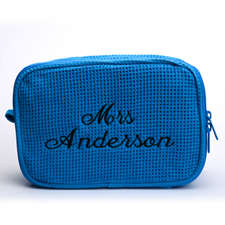 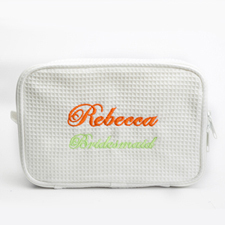 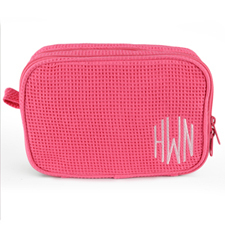 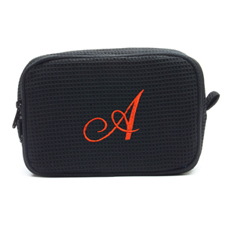 Great gift for bridesmaids, custom embroidered with your bridesmaids' names to carry their makeup essentials before, during and after your wedding day and bridal party make your party stand out. 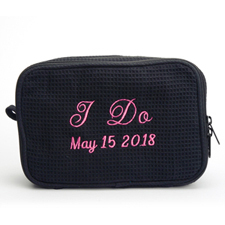 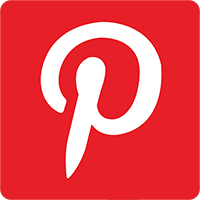 Perfect for a spa visit, spa themed bridal shower and take with you to the gym. High school graduate gift for girls.